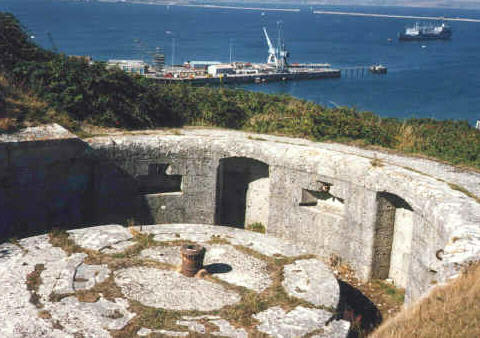 East Weare Battery was constructed in the 1860's at the same time as the Verne Citadel on the eastern edge of the island overlooking the breakwater and Breakwater Fort. It had twenty 9" & 10" guns in five open batteries but by 1900 these had been replaced by five 6" and 9" modern Breech Loading (BL) guns. 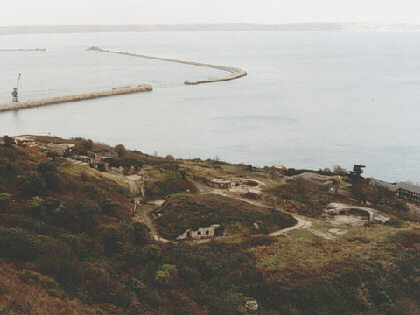 The battery is now derelict and very overgrown.